We specialize in precision metal stampings from ultra thin micro-miniature to medium sized metal stampings. Our Precision Machines are capable of many stampings operations, with our speciality being close tolerance parts. Achieving precision and performance in high-speed long runs requires the very best in tooling and presses. Thomas Engineering Company is a high-speed, precision metal stamping company specializing in micro-miniature, miniature, medium-sized, and ultra-thin metal stampings. Since 1962, we have been a leading innovator, developer, and manufacturer of the highest quality precision metal stampings, from rapid prototyping through final assembly. Over the years, we’ve developed a reputation for successfully taking on the most difficult, improbable and seemingly impossible stamping parts projects. At Thomas Engineering Company, we’re always up for a challenge. We only have one question: What can we stamp for you? As employees of Thomas Engineering Company, we commit ourselves to providing our internal and external customers with services, products, and attitudes that consistently meet or exceed their expectations. Highly trained and experienced employees specializing in tooling, design, and manufacturing. The ability to stamp ultrahigh-precision parts from virtually any metal or alloy, including aluminum, brass, bronze, copper, inconel, steel, stainless steel, and titanium. Rapid prototyping of up to 5,000 metal stamping units within 5-10 business days. William J. Thomas had a vision. In 1962, he acted on it and started Thomas Engineering Company with the goal of delivering nothing less than the highest quality parts and service to his customers. Today, Thomas Engineering Company is one of the world’s leading suppliers of precision metal-stamped components. 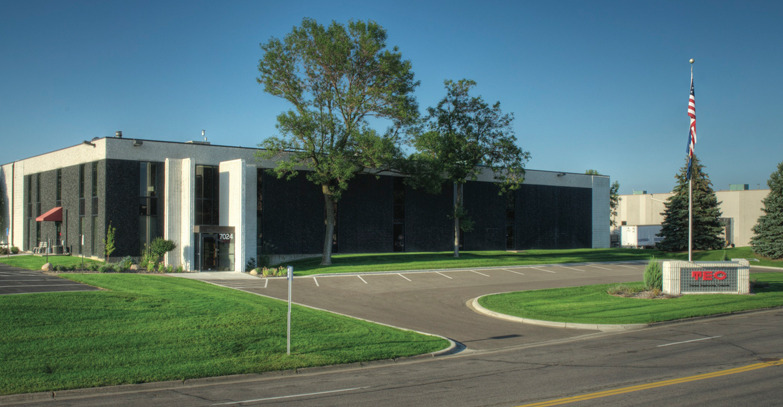 Located in Brooklyn Park, Minnesota, our Midwestern work ethic – having a balance between work and relaxation and keeping one’s word -- is always hard at work on your behalf.